I know people don’t read because what I write is so often not the trending societal issues or more often than not, about me. It can get really boring, yeah? You don't have to tell me. I know. I have a special kind of love for those who read my blog. In fact, I have a special name for them — SWEETHEARTS. They are one of the best groups of creative humans with a heart so sweet that they enjoy the atmosphere of Heart Rays. I’ve been blogging for more than three years and I’ve noticed a shift over the couple of past months. There’s still plenty of people blogging, that’s for sure, but I’m seeing fewer readers. Those who used to read (and probably post) on blogs are now spending their time on YouTube, Facebook and Instagram. "People do not read blogs anymore?" 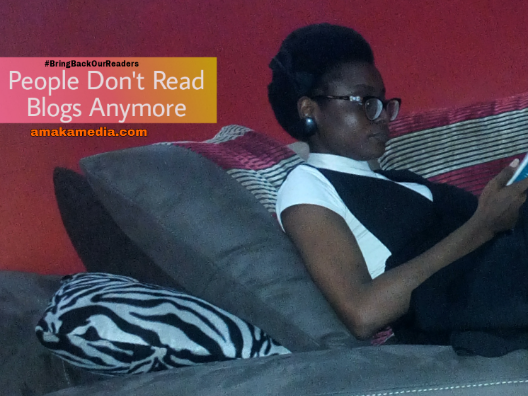 "People don't read anymore" is one of the shocking realities that I am finding hard to face. I am wondering, is it true? Is it really really true? People don't really read blog anymore? I know I’ve mentioned this before — many times—whether people ever read my posts or not, I love the concept of blogging. It’s been my best therapy practice of choice. Whether it’s been personal, emotion-dump posts or about things I’m passionate about, such as clothes, books, writing, roasted corn, etc., writing has always been a way to take the gibberish words, thoughts and ideas out of me and give them some form—any form—of cohesive sanity and expression. So I’ve written. Whether anyone ever read them or not. I wrote.
" I want people to read my blog jhorr!" "But, Amaka, you just said you don't care about the views." Yes, I did say that Sweetheart and I meant it. I’d say, the WHY still holds merit. But at the end of the day, when we share a part of ourselves, it’s human nature to hope it reaches someone out there. As creative people especially, we crave that connection. We take a piece of ourselves and hand it to the world. Then, we scurry like a shy toddler, behind the couch, peeking around the corner hoping for recognition, approval, appreciation. "People watch/listen more than read"
Right. I read some articles saying nowadays people watch videos more than read blog or articles. That's why even Facebook changed their strategies. Nowadays some big brand rather require bloggers to record a video to promote their products than blog about them. 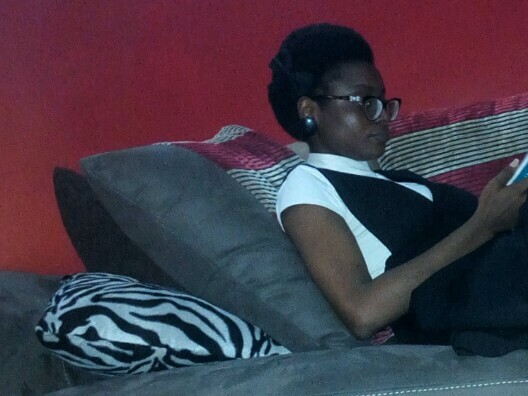 It is true sha because watching video is always interesting than reading, unless your content is exciting enough. People hardly follow blog or search for information to read on blogs these days. It feels as though video (specifically YouTube) has become the go-to source for all information these days. I personally use it for everything. Even if I’m needing step by step instructions or teachings from respected people, I tend to gravitate towards hearing them talk than reading their posts. Perhaps, I should go catch up on YouTube. BRB. That felt like the appropriate follow-up. Anyway, I'm glad you read this post.